Looking at the clever animal inspired chairs and table from Danish furniture company Elements Optimal makes us wonder, why can’t furniture for adults be this much fun? Made from European birch, the Elephant Chair ($540) and Table ($490) set by French designer Marc Venot is as cute as it is stylish. The clean, modern lines of the chair curve into elephant ears and a trunk, and the table is refreshingly simple. It’s the kind of piece that could be repurposed in a grown-up room when the kids are grown. When put together, the whole elephant form takes shape, in profile. 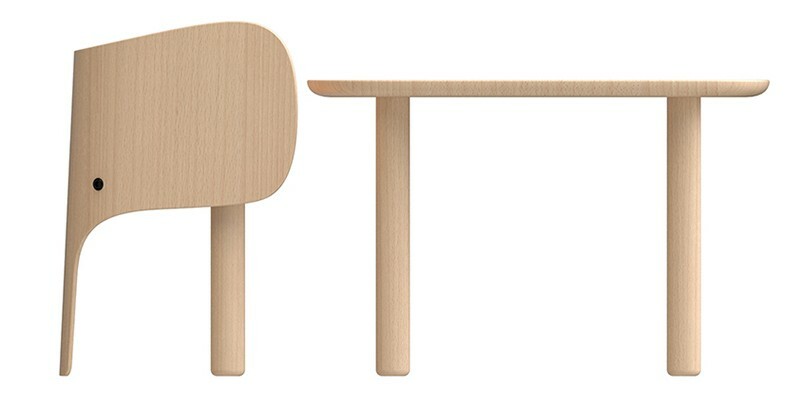 The chair is the head, trunk and tusks, and the table the body. It’s just missing a little tail, but any kid can sort that out with a bit of paper and sticky tape. 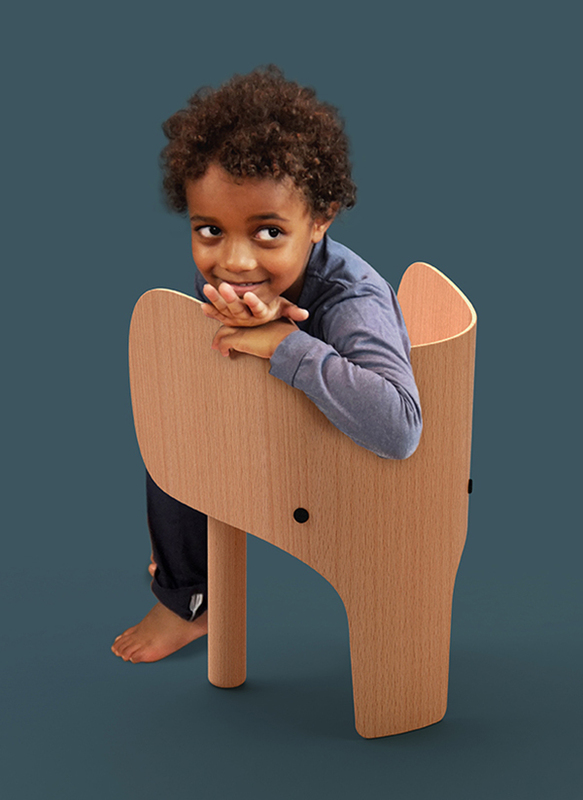 With the elephant high chair from Habitan, you could get an elephant theme going. 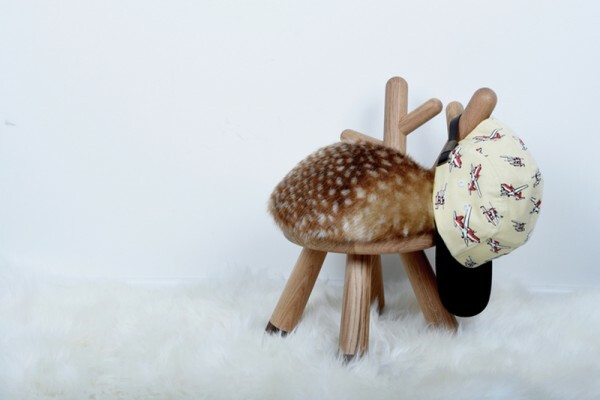 The Bambi and sheep chairs by Japanese designer Takeshi Sawada make you feel like you’re bringing a little piece of the forest or farm into your home. The chairs are made of European Oak and American walnut, and not to worry: although they look real, the seats are made from nylon. 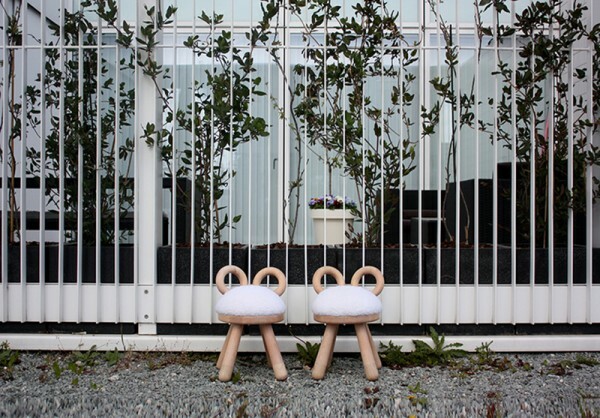 The Bambi and sheep chairs will be available in Sydney at Top3 in July, and the Elephant Chair and Table in September. Top3 ships in Australia for between $30 and $40 depending on the size of the item. Get in touch for a quote.